For 2 Hunters stocked in a field for use up to 3 hours. Extra hunters can be added at $10 each. Extra birds can also be added. Pointing or flushing dogs with handlers are available by appointment for any size hunt. Tipping is encouraged. 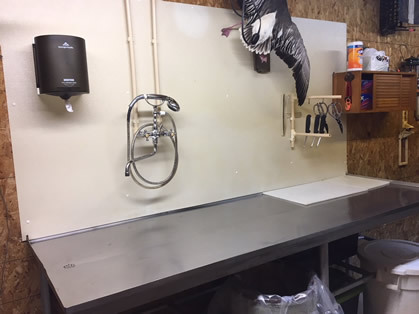 Cleaning facilities are available for you to clean your birds or have us clean them for you. Please call us with any questions or specials events you would like to plan at our farm. Closed on Holidays and for the gun deer hunting season.